Every venue is different and the reasons to why surveillance systems are employed may vary too. Thus, there seem to be no such thing as “the best alarm system”. While “best” is not achievable, “reliable” is not. Let’s take a look at what make up a trust-worthy alarm system. Most of the time, prospective users spent great deal of their time, figuring out how the surveillance system works or how to use them in an accurate manner. In reality, it is better for one to pay more attention to the context in which the system is going to be in. 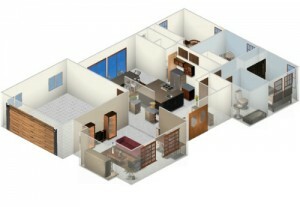 Details such as the structure of the building, position of the alarm, and wiring etc. An alarm system will only work best when it is able to adapt and blend into the environment. It is also advisable to have both on-site and remote control within the same alarm system. It is essential especially when users are away. By having the system connected to one’s mobile phone or computer, users will be notified instantly when incident occurs. There is no need for additional manpower or arrangement in time of absence. Continuous power supply is another vital contribution to a reliable alarm system. Therefore, there is a need to install backup battery in case there is an electricity cut off. Alternatively, the system can also come with a power failure notification, so that users can be informed immediately when the system is not working. On top of alarm and security cameras, consider the possibility of installing other features like motion detectors or smoke detectors, to further strengthen the existing system. Besides, think of who will be able to gain access into the surveillance premise(s) and means of getting such access. Currently, the most common ways of access authorisation include, possession of identification card, password, photo ID, or biometric recognition (i.e., use of fingerprint or face structure). Be aware that each of the access has its pros and cons. For example, it is important for password to be changed once in a while so as to keep the circulation low. While the cost of having biometric recognition may be high and perhaps only places with high security needs are required etc. Similarly, it is also important to ensure not everyone will have access to all footages and they should be safely stored and kept till a certain amount of time. This is to ensure all relevant capture to remain intact. While there may be no such thing as the best alarm system, but there definitely exist the most reliable system, as long as we pay attention to all details and keep them in place regularly. Consult an expert when in doubt to keep your system in check, as always.